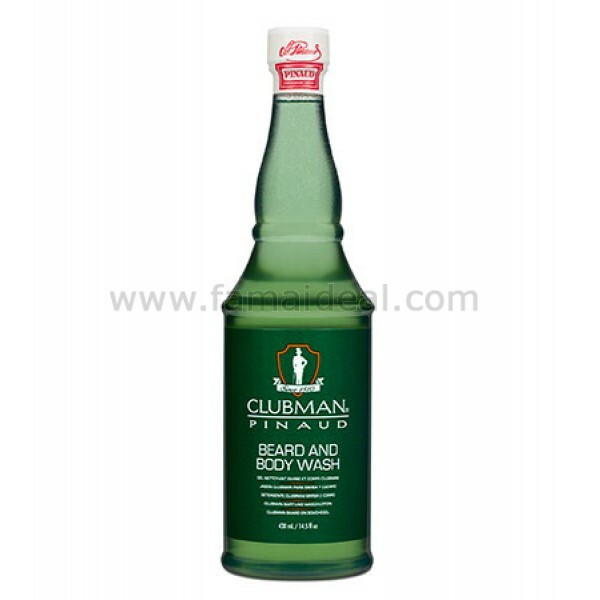 Clubman Beard & Body Wash is specially formulated for your body. A precision blend of natural extracts, in a high lathering sulfate and paraben free base, guarantees a one-of-a-kind, head to toe experience. Natural extract blends of Aloe, Chamomile, Calendula, Rosemary, Yucca Vera and Horsetail nourishes your beard, hair, face and body with luxurious foam that cleans away dirt and grime without stripping your body of it's natural oils. See and feel the difference instantly. One whiff of Clubman's Tom Gin inspired fragrance and you will be instantly energized and refreshed.